H2 water server designed in cooperation with medical institutions in Japan. 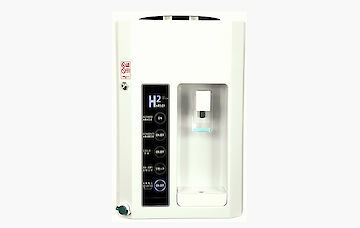 Sedis H2 water server series is the latest hydrogen cooling dispenser that generates water containing high amounts of hydrogen from mineral water. 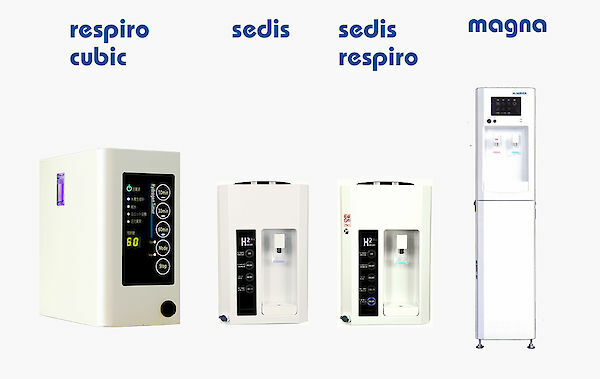 The sedis and sedis-respiro don’t have a filtering system, and don’t require a water connection, so it’s easy just fill it up with a bottle of mineral water. 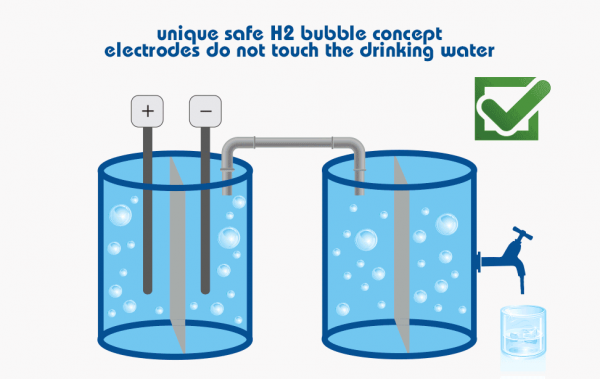 For the generation of hydrogen, the electrolysis hydrogen bubble technology is used. The units are easy to install in an office, kitchen or living room. H2 Respiro-cubic a high concentrated "hydrogen inhalation therapy unit"
The unit comes with a powercord of a length of approximately 2 meters. The water storage tank can contain maximum 2.3 liters, 0.6 gallons. Dissolved hydrogen concentration 1.2 ppm to 1.6 ppm (higher concentration when cooled).